Tagged under Fullmetal Alchemist, Husbando. 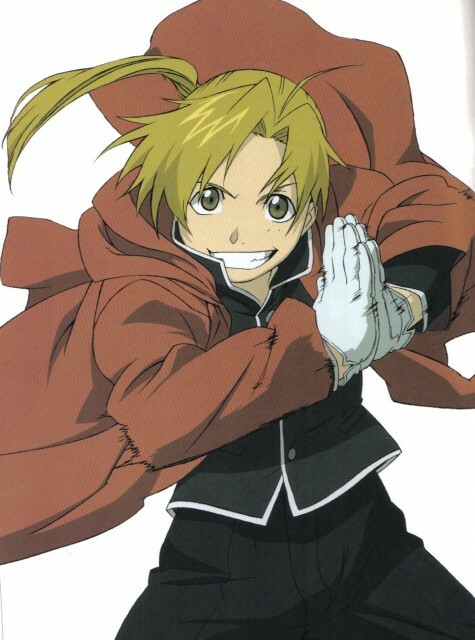 Alphonse "Al" Elric is the younger brother of Edward Elric. Both exhibited great abilities in alchemy as children, though Edward was shown to be slightly more skilled at it. When their mother passed away suddenly, the two brothers attempted to bring her back, with grim results: Al lost his entire body and Edward lost his left leg. Edward sacrificed his right arm to bind Al's soul to a suit of armor. After Colonel Roy Mustang extends them an offer to join the State Alchemists, the two brothers leave for Central City to take the test. Edward passes it and Al takes to accompanying Edward on his assignments throughout the country. Compared to his brother, Al is more calm and hopeful, though he is occasionally saddened by the inability to feel sensations anymore. For most of the series, Alphonse's soul is in a suit of armor, as can be seen here.